Starring in "Shake Rattle and Roll 13" are Zanjoe Marudo, Maricar Reyes, Kathryn Bernardo, Sam Concepcion, Edgar Allan Guzman, Louise delos Reyes and Eugene Domingo. Also starring are Celia Rodriguez, Boots Anson Roa, Jay Manalo, Ara Mina, Dimples Romana and introducing Ervic Vijandre. The three directors for this installment are Richard Somes, Jerrold Tarog and Chris Martinez. 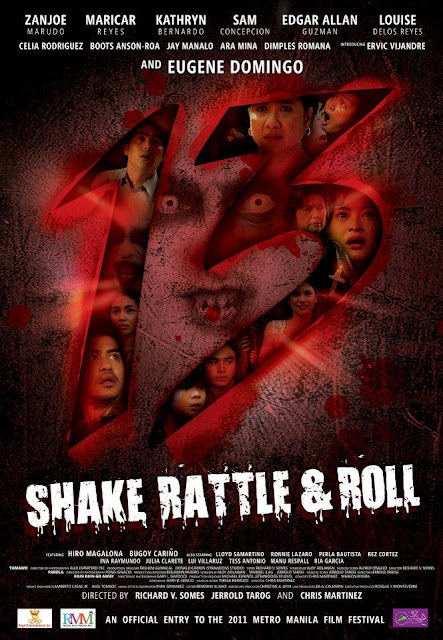 "Shake Rattle and Roll 13" is set to open in Cinemas on Christmas Day, December 25, 2011.